October 5th, around 8:45 PM. Cops beating up and pepper spraying people at the occupy wall street protest. THIS IS WHAT A POLICE STATE LOOKS LIKE. Thousands of “Occupy Wall Street” protesters, community groups, unions and students have joined together to march through Lower Manhattan this evening to demand Governor Andrew Cuomo and federal lawmakers stop giving tax breaks to the wealthy, eliminate budget cuts and restore jobs. Thousands of protesters gathered in Foley Square today as part of Occupy Wall Street’s largest event to date. Unions from the Transport Workers Union, SEIU 1199, and the United Federation of Teachers all joined the protest to voice their discontent at what they call a bailout of Wall Street, while working class people are left to suffer under a system of austerity. ‎Thousands of protesters packed Foley Square, standing behind police barricades in front of the courthouse buildings. Some wore union T-shirts, others were in business attire, and many left work early to be there. ‎LABOR’S SUPPORT for the Occupy movement means more than additional resources or big numbers at marches and rallies, however. The involvement of unions in the struggle creates the potential to use workers’ social power in the struggle to win important immediate fights, as well as a longer-term battle for a different kind of society. Some commentators have likened Occupy Wall Street to the actions at Tahrir Square in Cairo, Egypt which brought down president Mubarak. The Egyptian protesters had a clear demand, that Mubarak had to go. What is the clear demand in Zuccotti Park, that Obama and the Democrats go? That is to say, are they committed to end their support for them? ‎While the Wall Street occupation is growing, it needs an all-out commitment from everyone who cheered the Egyptians in Tahrir Square, said “We are all Wisconsin”, and stood in solidarity with the Greeks and Spaniards. This is a movement for anyone who lacks a job, housing or healthcare, or thinks they have no future. ‎With franchises rolling out in LA, Boston, San Francisco and Chicago, and a growing list of celebrity endorsements, OWS has an advantage that even the most successful political campaigns lack: it isn’t even trying to get someone elected. In 2009, President Obama told a group of 13 bankers “my administration is the only thing between you and the pitchforks.” Now the pitchforks are being tuned. Thousands of California state prisoners, angry about what they call harsh treatment, have been on a hunger strike that enters its ninth day Tuesday. In a matter of 48 hours, college campuses across the country organized a nation-wide walkout to show solidarity with the Occupy Wall Street protests. ‎Every penny counts to run an operation like this. We thank you in advance for your generous contribution to the movement, the 99%. ‎ACTION ALERT: National Day of Solidarity with the Irvine 11, next Tuesday (10/11). 11 were arrested. 10 were prosecuted. STAND with the irvine11 to send a message to UCI Administration and OC DA Tony Rackauckas that we do not accept this verdict and we will not be SILENCED! The police unions and police management negotiate a unifying agenda; the unions then function both internally, as a mechanism for preserving the loyalty of the low-level officers and externally, as the political arm of the police institution overall. The police union becomes, at once, the lobbying body, the media representatives, the fundraising mechanism, the electoral machine, and—when they participate in demonstrations—the shock troops of the law-and-order agenda. Protests against the hated emergency laws and military repression brought hundreds of thousands into the streets across Egypt on Friday of last week. 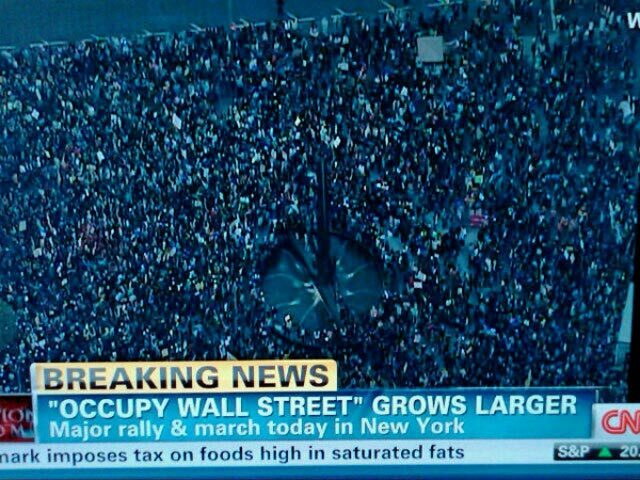 In New York they have occupied Wall Street. We have occupied Oxford Street. The workers united will never be defeated. Nearly two years after Europe’s great debt crisis erupted beneath the Acropolis, the people on its frontline have clearly had enough. We, the undersigned, stand in solidarity with Palestinian prisoners, currently on hunger strike, in protest against the humiliating and cruel treatment they are subjected to at the hands of the Israeli Prison Services. By not dealing with the root causes of the unjust system in Israel, the Israeli social movement wishes to make things less unjust rather than to change the system and the regime. No matter how brutally the American riot police will attempt to suppress the participants in the Wall Street revolution, no matter how much the global elites – especially those in the U.S. and China –try to suppress news of the Wall Street revolution, they cannot stop the vigorous growth and ultimate victory of the democratic revolution of the people of the world. ‎Soundtrack To The Struggle… is a crafted album that takes us on a journey of political punchlines and social commentary, full of emotion with a clever use of album skits, weighty production and showcasing lyrical dexterity and storytelling, displaying Lowkey’s growth as a rapper over the past three years.